Morovision is out of business. Please call for alternative products. Auxiliary lenses can be attached to night vision devices to increase magnification. 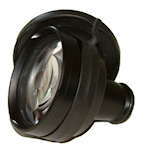 Select the lenses that fit your night vision device and your desired magnification.